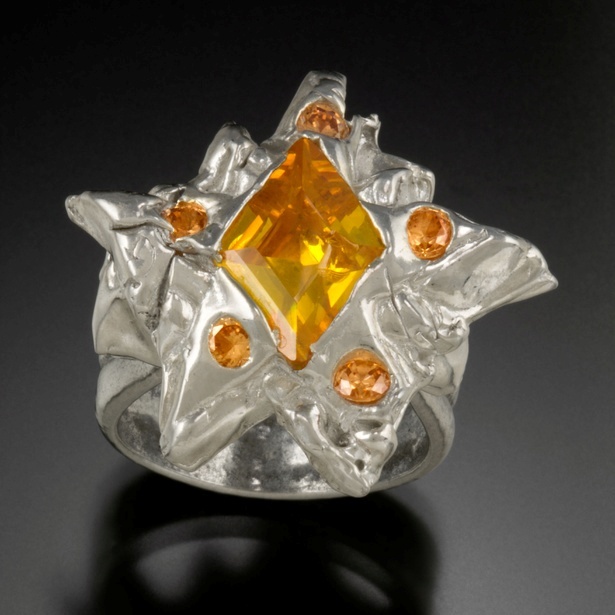 My jewelry features geometric and botanic inspired settings for beautiful stones. I design my jewelry featuring contrast of color & texture. 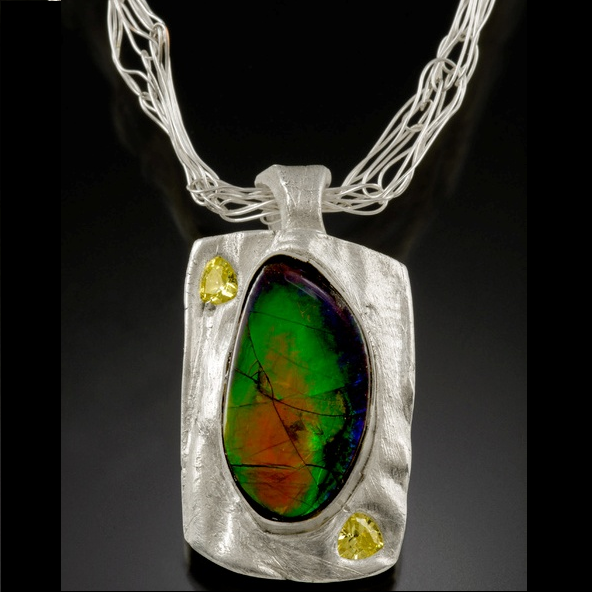 I sculpt bronze and silver metal clay, fabricate silver sheet & wire, and cast sterling silver to create unique pieces set with colorful stones. 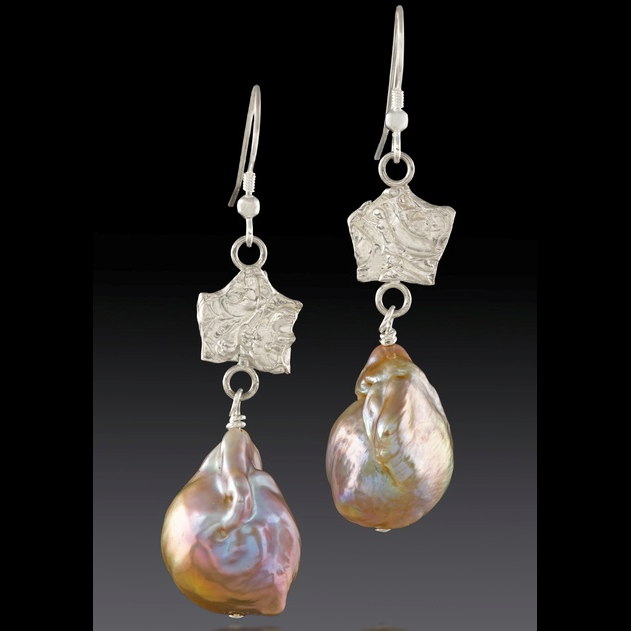 All of my pieces are crafted in my studio and I use 100% recycled metal in my work. I select ethically mined and lab grown stones. 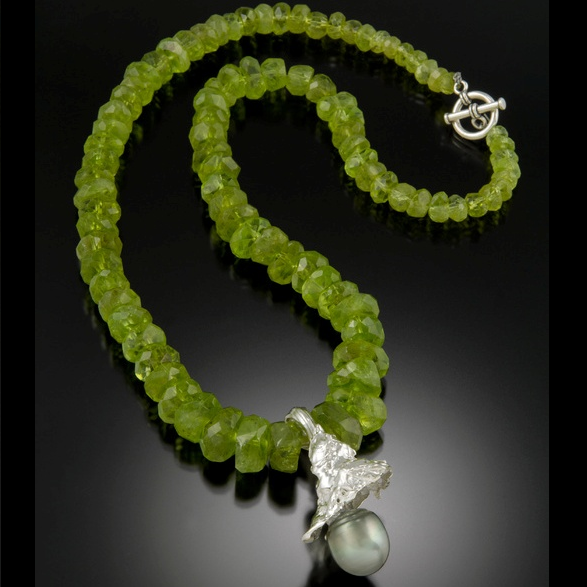 Sustainability in my jewelry is an important feature of my work. Many of my pieces are one of a kind, or in a series of no more than 10 pieces. I find inspiration for creating my jewelry in the natural world, and in clean geometric lines to feature unusual stone shapes.